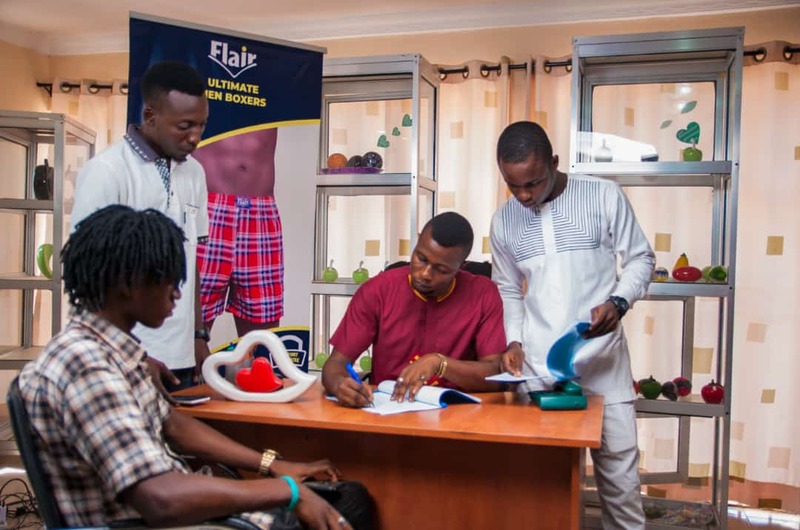 Nigeria’s first underwear brand, Flair Underwear today signed FUTA student and world-record holder for longest playing Disc Jockey, Venum as brand ambassador. 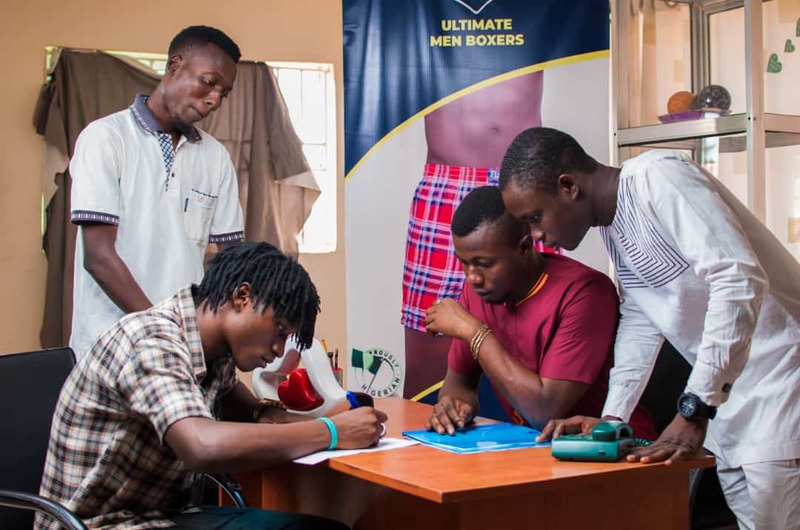 The event which took place in Akure saw members of both brands, Flair Underwear and DJ Venum present for the signing of documents. 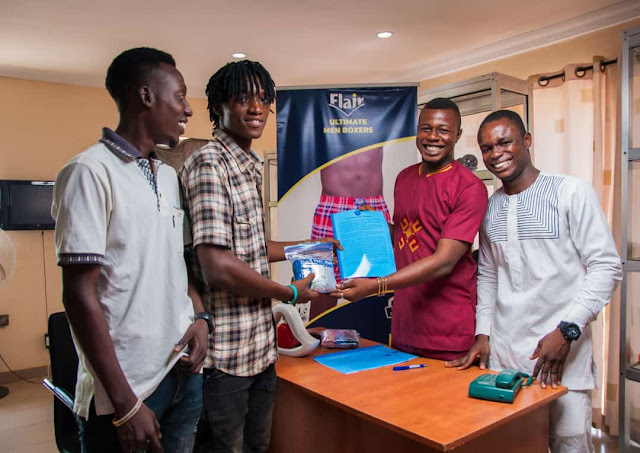 Flair Underwear who has been building a good market for itself in Nigeria covering 15 states, is set to take the brand to other parts of the country in the next one year. Explaining the choice of DJ Venum as an ambassador, Omotayo Omotoso, Operations Manager and Founder of Flair Underwear describes the DJ as one who suits the ideals of the Underwear brand. “We align with greatness and we feel we want to have someone great to let the world know that Flair underwear is ready for greatness”, Omotoso explained. “We want to bring up somebody on board, who believes in our idea, who really loves what we do and is ready to showcase us to the world”, he added. Recall that Venmak Agboola, recently shot fame after the success of his world-record attempt for longest-playing DJ in the world in August. Venum who is currently an Ecotourism and Wildlife Management final-year student in FUTA describes Flair Underwear as classy. “I use flair underwear everyday and I feel its beyond a lot of standards. Because when people hear about stuffs made in Nigeria, they feel it is not up to standard. “After personal use however, I can assure that it is a very classy product that you cannot but appreciate its quality. It gives you comfort and everything you find in a regular underwear brand”, Venum enthused. Venum affirming Flair products as tested and trusted, enjoined his fans to give it a try, stating that the products are for both sexes. NOTE: Flair underwear sell in wholesale and retail to any city in the country.